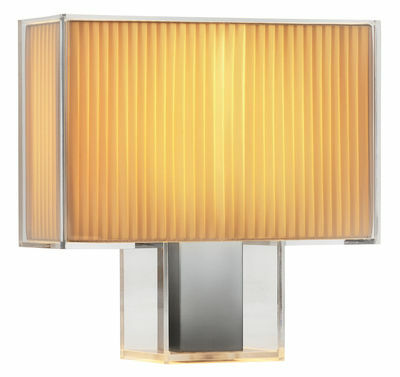 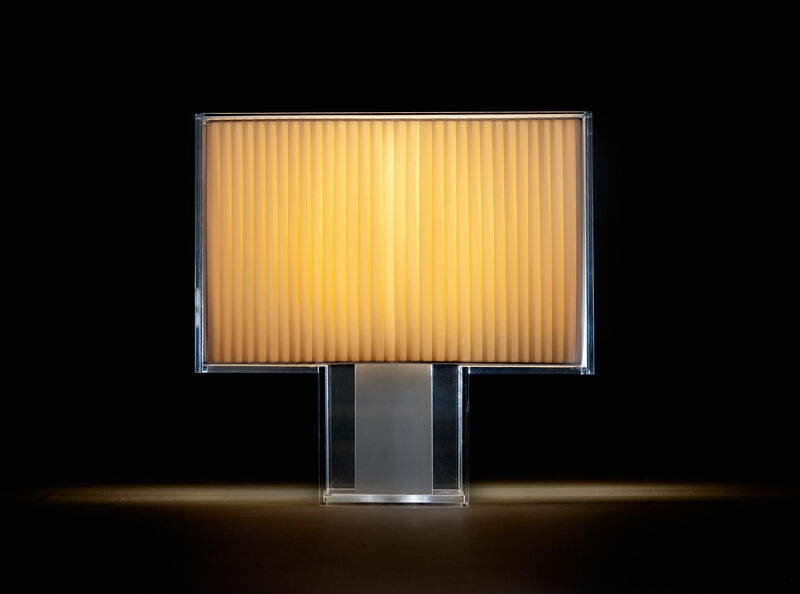 A rectangular table lamp characterised by its extremely clean lines, squared off in a mood vaguely reminiscent of Deco taste. 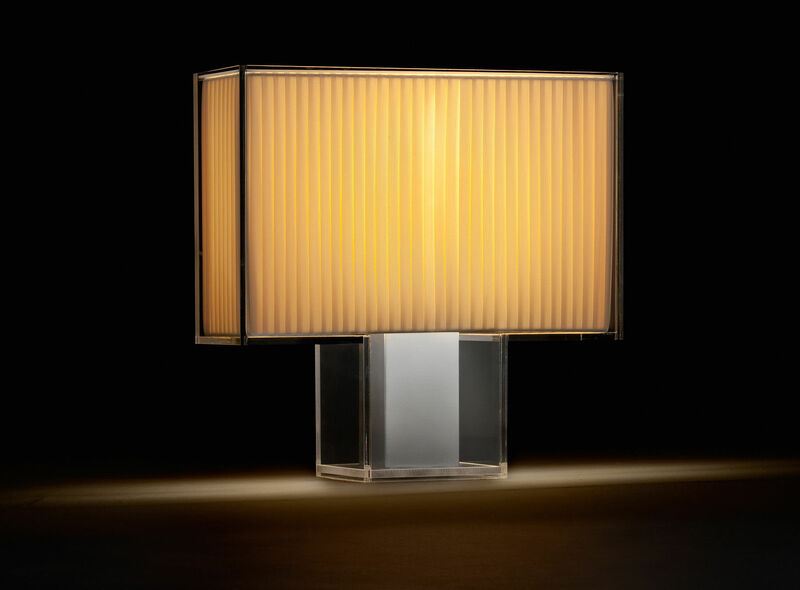 Tatì's solid body of transparent polycarbonate encases an internal diffuser available in full colour methacrylate, opaline and black or in a pleated fabric and has a chrome steel weight in the support. 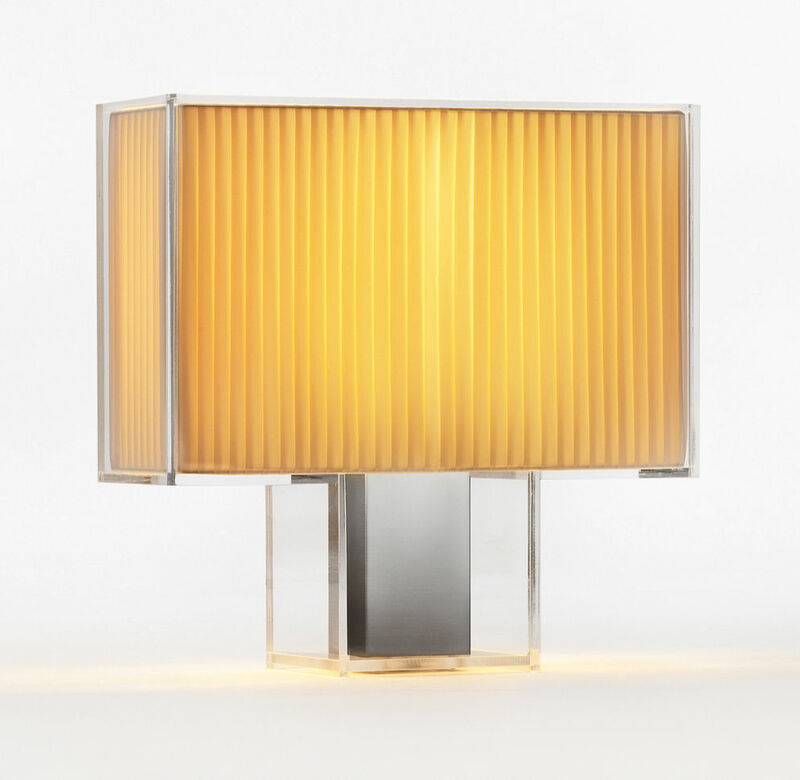 The rigour of form and material, far from making it chilly or cold, on the contrary, creates an object of bourgeois allure which will fit in anywhere while maintaining its contemporary line. 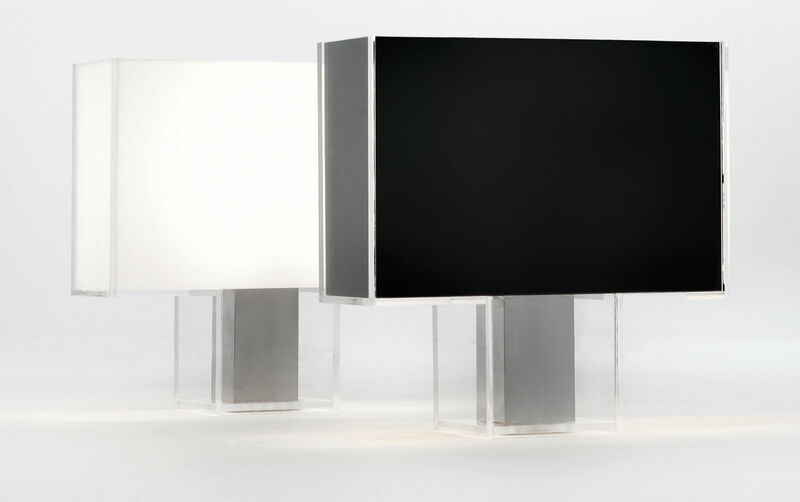 Different chromatic plays of light have the effect that when turned off, Tatì reveals the full colour of its surface but when turned on, the adjustable intensity of light filtering from its sides lights up its whole body.